US supermarket group Albertson's LLC has struck a deal to acquire family-owned Texan supermarket chain United Supermarkets. 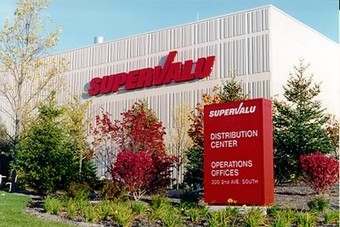 The deal includes United Supermarkets' 50 supermarkets and three distribution centres in northern and western Texas. The outlets are operated under three banners: United Supermarkets, Market Street and Amigos. Albertson's will also take on seven convenience stores and 26 fuel centres operated under the United Express banner. 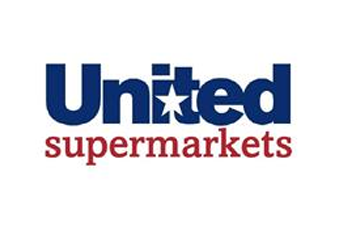 United Supermarkets will operate as a new business unit under Albertson's company structure. The company emphasised United Supermarkets will continue to operate "much as it does today", with decisions being made at a local level. Robert Taylor, current CEO of United Supermarkets, will take on the role of president of the unit, reporting directly to Bob Miller, CEO of Albertson's. The acquisition - for an undisclosed sum - remains subject to regulatory approval. Albertson's, owned by private-equity firm Cerberus Capital Management, said in a statement that it expects to complete in October. The move will strengthen Albertson's presence in Texas, where it operates 76 stores, the majority of which are in the Dallas-Fort Worth Metroplex. September 9, 2013 – Boise ID—Albertson’s LLC announced today that it intends to acquire United Supermarkets, LLC, DBA The United Family, (United), based in Lubbock, Texas. United operates 50 retail stores under 3 brands; United Supermarkets, Market Street and Amigos. Additionally, their United Express brand has 7 convenience stores and 26 fuel centers. United operates two divisions, RC Taylor which distributes tobacco, candy and general merchandise, and Praters which manufactures many different prepared foods including meats, side dishes and fresh tortillas; and one subsidiary, Llano Logistics which operates 2 distribution centers in Lubbock and Roanoke, Texas. Upon completion of the transaction, United will operate as a new business unit under Albertson’s LLC’s company structure. Robert Taylor, current CEO, will continue to lead United in his new capacity of president, reporting directly to Bob Miller, CEO of Albertson’s LLC. The chain, which had been family-owned since 1916, will continue to operate much as it does today following the acquisition. United will continue to make decisions locally, similar to the other operating divisions in Albertson’s LLC. This transaction is expected to be complete by the end of October, subject to customary government approvals. Currently, Albertson’s LLC operates 76 stores in Texas, the majority of which are in the Dallas-Fort Worth Metroplex, and has just over 600 stores company-wide. After the acquisition is complete, Albertson’s LLC will operate approximately 650 stores and 11 distribution centers in 16 states. Sagent Advisors, LLC acted as exclusive financial advisor to United on the transaction. Citigroup acted as financial advisor to Albertson’s LLC. US/UK: Tesco "nears deal with Yucaipa for Fresh & Easy"